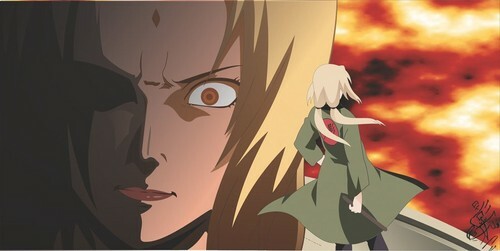 angry 5th hokage. it about the 5th hokage becomeing angry and bitter. Wallpaper and background images in the Naruto club tagged: naruto shippuden anime anger. This Naruto photo might contain anime, comic, manga, cartoon, comic buch, karikatur, and comics.